One of the most exciting moments as a guitarist is when you discover a modern master performing the works of a legend in the genre. When new guitarists put a modern twist on a classic track, it can breath new life into a beloved song, as is the case when modern master Kelly Joe Phelps recently recorded a live version of the Robert Johnson classic Hellhound on My Trail. Originally a jazz bass player, focusing mostly on the Free Jazz world, Phelps converted to acoustic blues playing after hearing artists such as Fred McDowell and Robert Pete Williams. Though it was a loss for the jazz world, blues fans all over the world are happy that Phelps made the switch, and that he has continued to contribute heavily to the modern blues catalogue ever since. Recorded live at the Freight and Salvage Coffeehouse in Berkeley, California, Hellhound on My Trail is a highly improvised, personal and unique rendition of the classic Robert Johnson song, one that is a fresh take on the track, and a vehicle to showcase Phelps’ prowess on the instrument at the same time. 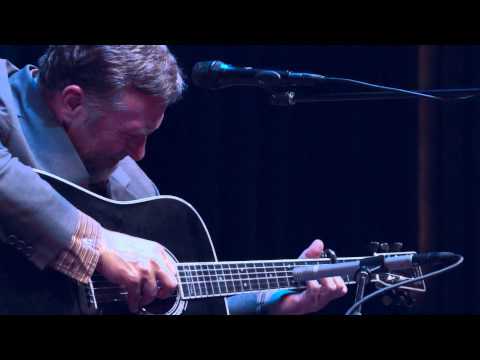 Are you a fan of Kelly Joe Phelps playing Robert Johnson? Share your thoughts in the comments section below. This entry was posted in Acoustic Guitar Songs and tagged kelly joe phelps live, robert johnson acoustic by Alan. Bookmark the permalink.